Fulldome movies above and around you! Here are some special movies for holiday programs. 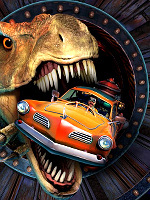 On Dino Planet, Professor Schwartz has been raising dinosaurs since they were eggs, so join the professor for an exciting journey in his old car. Observe different types of dinosaurs as the tour winds through tropical forests, an abandoned launch site and a frozen sled track. He might need to use his knowledge and your help to evade some of the pets and return everyone home safely! 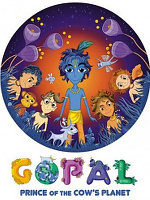 On the beautiful planet Goloka on the slopes of the sacred Govardhan Hill, little Prince Gopal together with his friends grazes herds of cattle. Breaking a tradition of giving honors to Lord Indra, Gopal angered Indra, who decided to avenge himself on the villagers and Gopal. Who will help Gopal and stop ruthless Lord Indra? This film enchants and tells a traditional tale using a young medium. 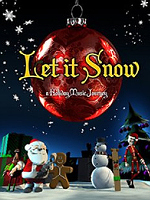 A celebration of traditional Christmas songs performed by well-known artists, plus colourful and fascinating animations. This feast of singalong music has with it some examples of modern full dome artwork. A feast of colour for everyone and the perfect show for pre-Christmas entertainment. 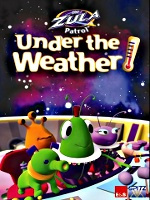 Featuring the animated cartoon Zula Patrol gang. This is a light hearted study of the sciences of weather, both in space and here on Earth. The Patrol collect all sorts of weather in bottles, but these are stolen by a villa in Dark Truder who has a scheme to rule the Universe. It takes the Zula Patrol to solve the problem. Re-live the excitement of the early days of space exploration, from the first satellite, Sputnik, that started the race to the Moon between the Russians and the United States, to the magnificent lunar landings and privately operated space flights. 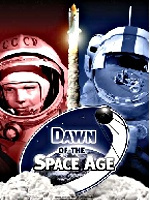 Be immersed and overwhelmed with this accurate historic reconstruction of humankind's first steps into space.